Skin care has always been very important to me. I'm always striving for healthy clear skin. I've tried many products over the years from drug store purchases to natural products. 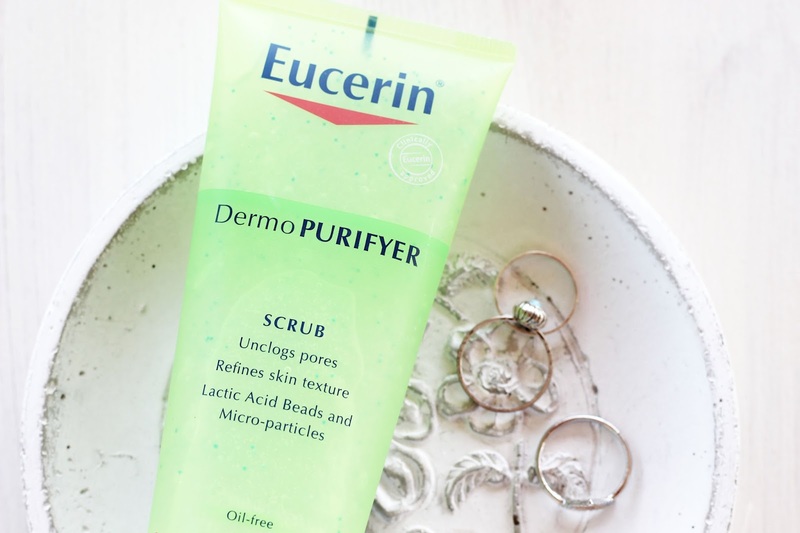 And I've come to the conclusion that for my skin, Eucerin does the trick. I would love to say that I use some awesome natural brand and it works wonders for my skin, but that just isn't the case for my skin. 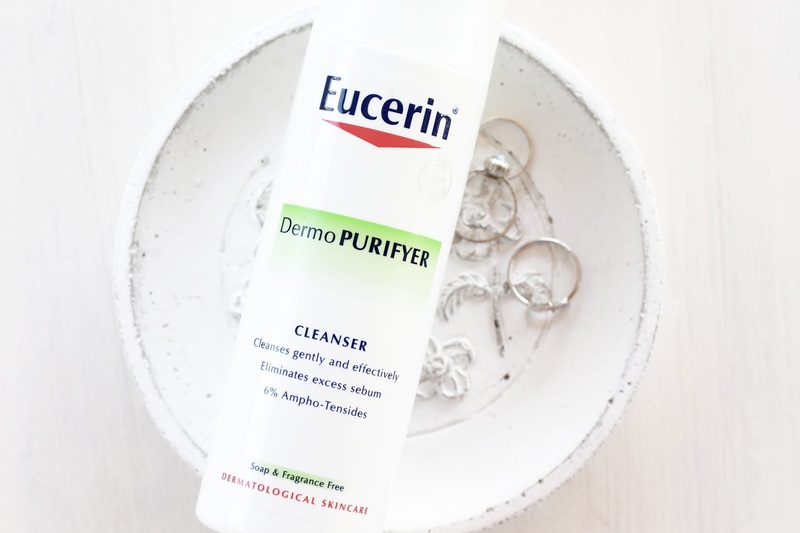 Eucerin seriously helps keep my skin clear. So here is what I use. 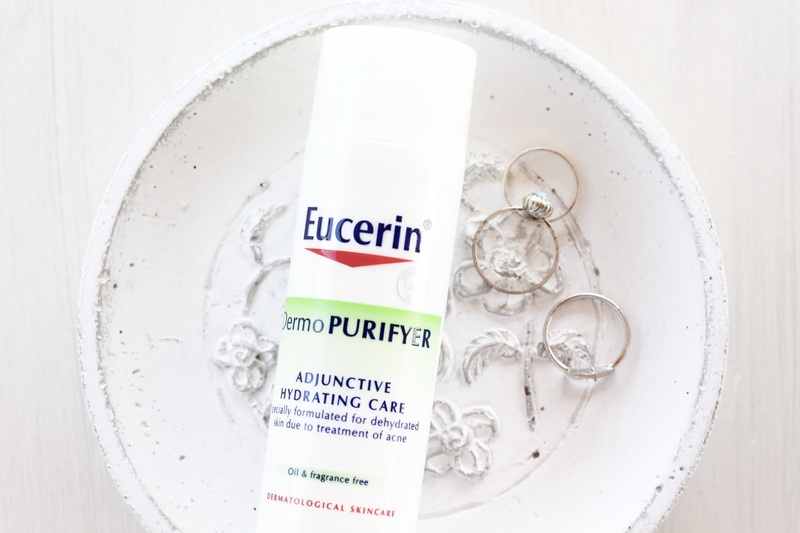 The range I use Eucerin DermoPURIFYER is specifically for acne prone skin. One of the great things about their products is that they are fragrance free, which I love. I can't stand it when products have a perfume smell to them. I use this wash after cleaning makeup off at night. If your skin is playing up you could use it again in the morning. I use this scrub twice week. I'm always weary of scrubs, not because they don't work, but because if they are too harsh they can really aggravate your skin. I however love this one, it scrubs away all the dirt from your face as well as dead skin and reduces blemishes. I use this hydrating cream every night after cleaning my face and washing it with the cleanser. This cream is specifically for dry skin. So I make sure to use only a little bit. Otherwise your skin can be very greasy the next day. 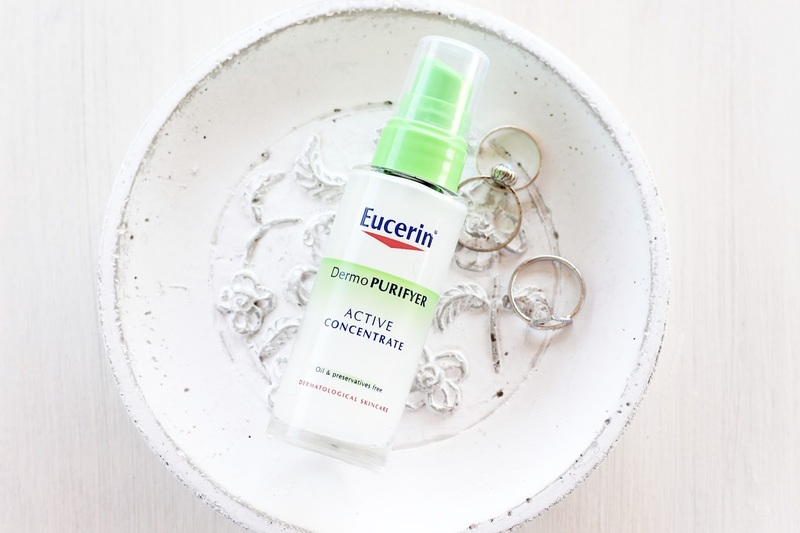 I use this active concentrate about every second evening. Although it's not a spot cream or gel. It helps to prevent further development of blemishes. It definitely gives my skin a smoother texture. Like I said I don't use it every night as it can dry out the applied areas of your face. Tell me your favourite skin care products, I would love to know.